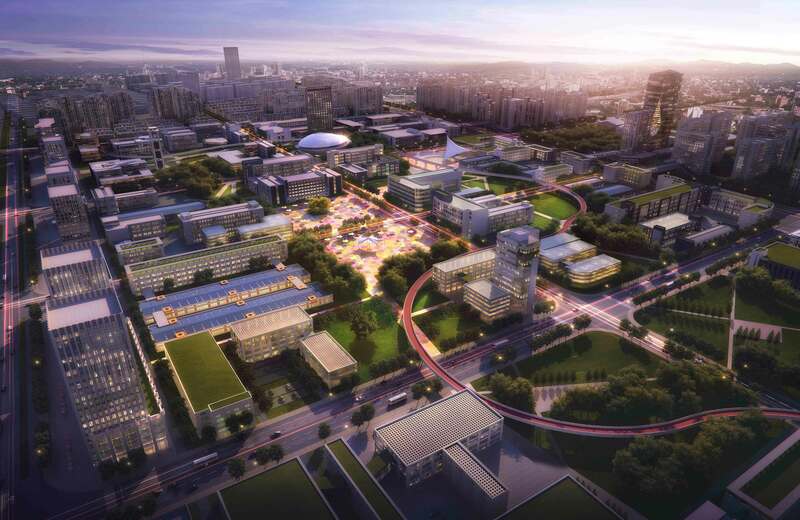 The project is based on the future development of the Chengnan New District in Shengzhou City, and plans a new urban area integrating administrative, commercial, leisure and innovative industries. The project aims to make people more accessible to the city center and the waterfront through the improvement of roads and slow-moving systems. Together with the urban green axis and the open urban landscape, the project will create a modern city with a beautiful skyline and a waterfront view. The detail design includes two core areas: Central Business Area and Industrial Park. 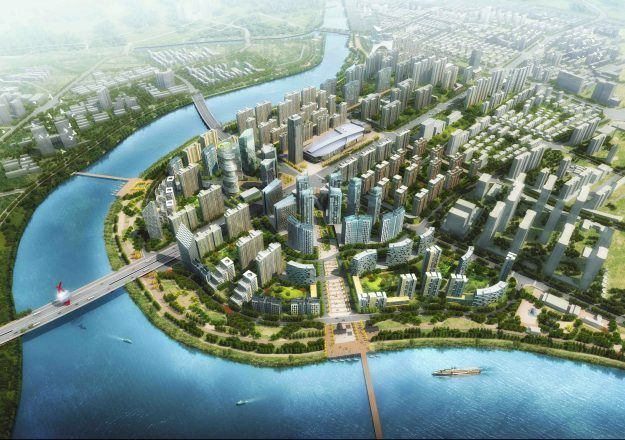 The Central Business Area where on the banks of Chengtan River and Industrial Park are the core areas for the development of the Chengnan New District. In our project, they will display the new urban lifestyle and attract more talents and enterprises. The plan will increase the road network density in The Central Business Area and increase the pedestrian bridge on the Chengtan River to facilitate cross-strait residents to stroll to the central area and the waterfront space. 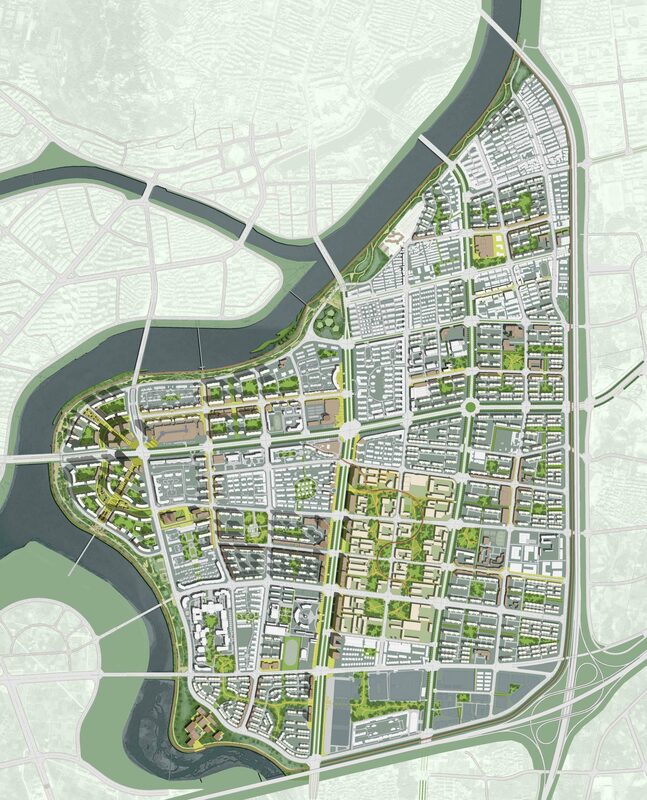 In order to guide the citizens to the waterfront space, the project will add a number of green space squares in the central area, and a number of radioactive green corridors will be drawn from the center of the river. Among them, green corridors are designed to allow only non-motor vehicles to pass, which is also to encourage people to use green modes of travel. The project will set up three green spaces with a viewing platform at the riverside green corridor. 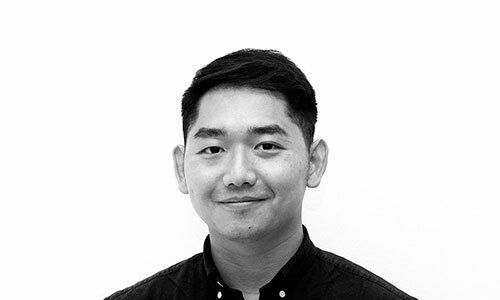 For the high-rise buildings in the Central Area, the project will aim at maximizing the landscape to gain more natural landscapes for buildings and create more layered skylines for the water area. As the tie industry used to a business card of Shengzhou, we hope to preserve such city memories in our project. The old parks with chaos industries, closed neighborhoods and lack of public space will be re-created as new business cards to adapt to the current urban development, positioning as Industrial Park and urban green heart. The project will open up the roads inside the block to enhance the accessibility of the park and outside areas; retain some old buildings and update them to the cultural and creative industries. The building exterior and interior space of the site will be reconstructed depends on which functions; the style of the new and old buildings will be unified, and the landmark buildings will be set up at the nodes to form a visual focus; the courtyards and spaces will be combed to form interconnected green spaces. 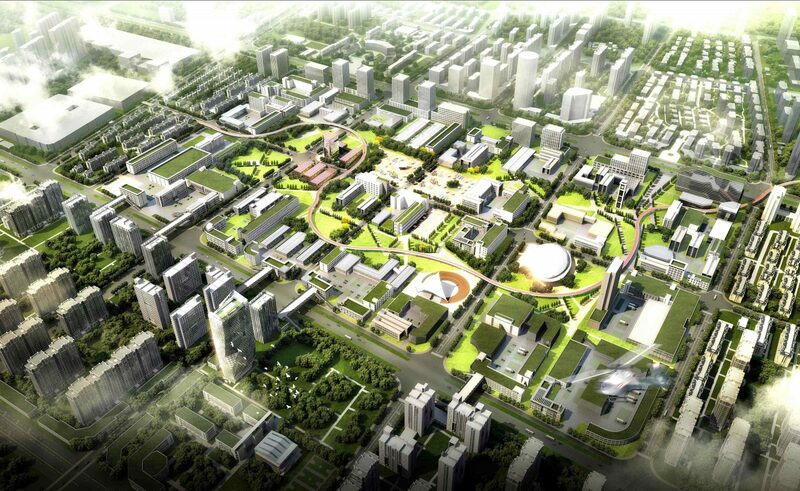 Besides, we will set up leisure parks, open-air markets and amphitheater at important nodes. Based on different functional positioning, the entire planning area is divided into four groups according to the service radius and population size. Including the business and business-oriented central business district group, cultural and educational and health function group, living and living in Sanjiang Street residential life group, as well as corporate headquarters, design and development of business and creative intelligence group. Sparse and dense space form—— High-intensity development is carried out in areas with high population density; the industrial park and schools are developed with medium and low intensity, which continues the original building texture. Recognizable blocks—— Commercial and residential buildings promote the combination of courtyards and spaces. At the main road intersections, consciously control the height and shape of the building, create landmark buildings, and increase the identifiability of the area. Parks will use the intelligent irrigation system to lower the costs. Using ecological energy-saving technology to reduce the maintenance cost of buildings in the future. Solar street lights are used to save later costs. Landscape system—— The project ensures that every levels of space in the planning districts can enjoy nature by establishing neighborhood parks, waterfront parks, and green corridors. A sufficient number of park green spaces with reasonable density distribution will effectively reduce the urban heat island effect and purify the air. Sponge city—— The project will apply sponge city technology in the planning districts, and reduce the dependence on artificial irrigation. The sponge city can also make the sustainable use of rainwater. To insure it implement efficiently, the project will be developed in phases. The first phase of construction will create a planned commercial core area and a landscape belt along the river. 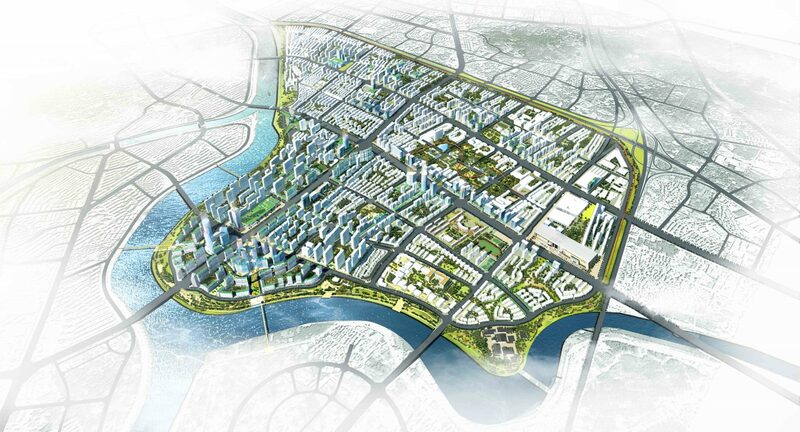 The purpose is to establish a city image of the new district and drive the appreciation of the surrounding land. In the second phase, the old tie industrial park will be updated with the goal of revitalizing the industrial buildings in this block, realizing industrial transformation and upgrading, and consolidating the achievements of the new district construction. In the third phase, we will gradually improve various types of infrastructure and public service facilities in the planned area to improve the quality of residents’ life.